In that episode of Ellen, Britney Spear and former “American Idol” judge Simon Cowell her current guest before the Korean rapper appeared before them. 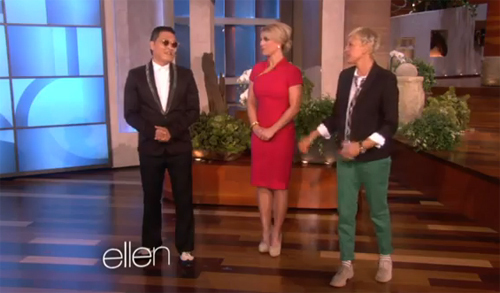 Watch the video below on how Psy dance Gangnam Style with Britney Spear and Ellen. Comments or suggestions about "Psy teaches Britney and Ellen how to dance ‘Gangnam Style’" is important to us, you may share it by using the comment box below.